If you’re struggling to acquire more leads from your website, you’ll probably be interested in the story of how one company managed to increase their conversions by 120% – simply by reducing the amount of form fields on their contact us form! The story, via Unbounce, also brings to light what most of us already know; your customers hate filling out forms, so why make their lives more difficult than they need to be? Recently here at Stargazer, I delved into the depths of Edinburgh home improvement company websites to see what I could find, and contact us forms happened to be one of the areas that most home improvement companies were lagging behind on. My job is to help them improve, which is why I’m going to give you some of my best tips and advice to help you get the results you need from your website’s contact us forms. When I looked at how home improvement companies were using their websites to attract new leads and customers, I found that impressively, 92% were actively using contact us forms – however, only 24% of those displayed just three fields or less. What if I told you something magical happens every time you reduce one of those fields? As a general rule of thumb, the fewer fields you have, the better; and research has proven that on average, conversions rates can be almost doubled when reducing your fields to three or less. However, you also have to ensure you’re still getting all the relevant information you need – if that involves having an extra form field (for instance, a phone number), then include it. Just try to keep your number of form fields as low as possible without sacrificing the vital info you need. For example, the company in the story mentioned above (Imagescape) increased their own conversions by 120% when reducing their fields from 11, down to four. In this particular case, narrowing it down to three could in fact be less beneficial – it’s all about what works for you. TIP: Look for any unnecessary fields and ask yourself: do you really need them? For instance, if you’re asking for a business name AND a website address, could you just work out one from the other? As you can see, the company has a grand total of 15 fields in their contact us form, including title, full name, property number, job type and postcode. Are all these form fields even necessary? Probably not. In fact, I highly suspect Edinburgh City Plumbers could massively increase their conversions by taking a few of these out. Not only are they asking for the nature of enquiry, they’re also asking for a postcode, which may seem unnecessary at this stage – or not. To help narrow it down, First Call Assist could really benefit from including more specific touch points on their website (see point 4). Including an asterix next to ‘nature of enquiry’ is also a tad confusing, as this isn’t really explained anywhere on the form. Your contact us forms are without a doubt the most important pages on your website in terms of conversions, which is why I always say start at your conversion point, and work your way backwards. That’s why it’s important to always keeping testing your forms to ensure you’re constantly getting better at converting those valuable visitors into leads, and the best method of doing this is A/B testing; in other words, always testing two different variations of your form to see which wins. You can use A/B testing on everything from your button copy, to the names of your forms fields, and even the colour and location of your buttons/form. The one rule of A/B testing: only ever change ONE thing at a time! This is to ensure you know exactly which element has caused the increase in conversions; otherwise, if you change more than one thing, how will you know what’s worked and what hasn’t? You won’t, so next time you come to change something again, you could get mixed results. However, what I would say is that if you have a lot of people submitting your form, limit the test to around 20% – 30% of your overall traffic. TIP: Here are some of the best A/B testing tools available right now, along with some other great tips! Typically, asking for an individual’s phone number on your contact us form tends to reduce conversions by about 5%, however, simply by adding the word ‘optional’ to this form, Expedia managed to increase their conversion rate from 42.6% to 80% – now that’s impressive! My theory here (and also from personal experience) is that visitors hate the idea of giving out their number – after all, spam phone calls are an everyday annoyance and you never know who might end up calling you once you give your number out. Again, it comes down to the question of whether their phone number is absolutely necessary. 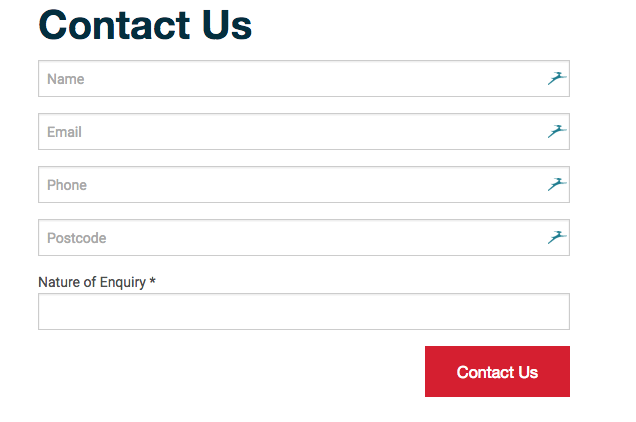 For each of your forms, ask yourself; do you need their phone number right now? If they’re subscribing your blog, probably not. If they need a quote, then 100% yes. In which case, a small line of text underneath the field explaining exactly why you need their phone number could help alleviate any concerns, along with asking for the best time to call. One of our clients, Superwarm, have tried the latter to much success. Monica Carmichael from Superwarm said: “It’s fantastic; enquiries come in, I call them back but before I was sitting first thing in the morning calling every single one, and out of around 10, I’d only ever end up speaking to about one person. TIP: Another way to avoid putting people off is to have a small line underneath assuring them that you’ll never give their details out to other parties – just remember to test this, as there’s also the risk that this line could bring negative associations into the minds of your visitors. 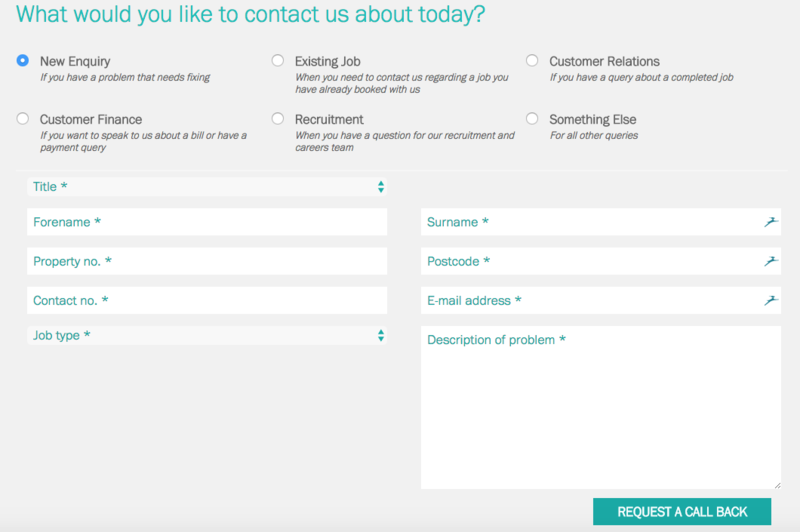 Most of our own customers don’t actually come through a contact us form, which is why it’s a good idea to give your visitors multiple touch points where they can fill out their information to get what they want – whether that be a brochure, a helpful ebook, or a quote. Think of it this way; most of the people who come through to your website won’t necessarily be ready to get in touch with you – many of them are looking for information, and if they can’t find that, they’ll leave without being any the wiser. TIP: Find out more about introducing touch points to your website via our handy blog on the topic. Finally, just because spam is your problem, doesn’t mean you should pass that onto your visitors. Including ‘captchas’ at the bottom of your form (you know, the ‘type out this 6-digit number to prove you’re not a robot’ box) can really put people off submitting their information. I can almost guarantee you that adding a captcha in your form is killing your conversions, as no-one wants to have to jump through hoops just to be able to contact you or get a quote – it’s just another hurdle stopping potential customers from getting in touch. In fact, according to some research, removing a captcha from your forms could increase your conversions by around 3.2%. TIP: I find HotJar is a great tool for checking how people are behaving on your contact us form; you can get loads of great insights, including where people are dropping out – try it and see! I hope you’ve enjoyed reading the above tips, and remember, the fewer fields the better, but you should never be afraid to test those forms if you’re not getting the results you need – from personal experience, you’ve got nothing to lose and everything to gain. If you’re looking for more help on how to improve your website’s response rate and capture more leads for your business, feel free to leave a comment below, or get in touch with me directly – I’ll be happy to help.